The IT-1 is a Rank VI Soviet medium tank with a battle rating of 8.7 (AB/RB/SB). 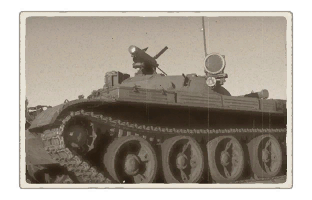 It was introduced in Update 1.59 "Flaming Arrows" and was one of the first ATGM-equipped vehicles to be in the game. The IT-1 is equipped with the 3M7 anti-tank missile capable of penetrating 500 mm. Ammo racks of the IT-1. Describe the tactics of playing in the vehicle, the features of using vehicles in the team and advice on tactics. Refrain from creating a "guide" - do not impose a single point of view but give the reader food for thought. Describe the most dangerous enemies and give recommendations on fighting them. If necessary, note the specifics of the game in different modes (AB, RB, SB). The genesis of the concept of "missile tanks" came from the Premier of the Soviet Union at the time, Nikita Khrushchev. Khrushchev believed that missiles were the key to armor dominance, spelling the end of naval battleships and tanks. This belief led to his order that the heavy tank programs like the T-10 be cancelled in the 1950s. Khrushchev ordered that a missile-capable tank be fielded in replacement, with development starting in 1956 despite the immature technology. Though the military finds little favor with the concept, they begrudgingly carry it out by orders of the Kremlin and many facilities in the Soviet Union started on the concept. The Uralvagonzavod facility designed a missile tank labeled Object 150. The chassis was derived form the T-54/55 tanks, though the hull was lengthened for more stowage space for the missiles. The tank used the 2K4 Drakon missile system, a sophisticated machine that used a SACLOS guidance system and had a warhead able to penetrate 500 mm of armor. The missile, later designated the 3M7 Drakon, was still rife with problems and required further development. The design could carry 15 missiles, with 12 inside the vehicle's autoloader and 3 spare held in storage. 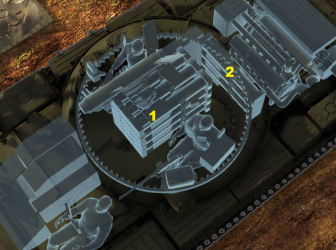 The military dislike this storage as it was much lower than the 30+ rounds in their conventional tanks, but it was expected that the hit probability on the missiles would be higher to compensate. Firing tests started at the Kubinka Proving Grounds mid-1963 and was approved by Khrushchev in 1964. Then in October 1964, Khrushchev was overthrown. Without the constant urging by Khrushchev, the military delayed the Object 150 design's serial production to 1968 to prioritize on main battle tanks and to let the missile technology to develop to a more battle-worthy level. The benefit of the development of the Object 150 during this time period was that it provided a lengthened hull that would be used in the new Soviet tank design Object 165, which would be adopted as the T-62. Object 150 finally entered production in 1968 with 220 units made between 1968 to 1970. Its purpose was to provide additional firepower to T-62 tanks. It was designated the IT-1 tank destroyer and issued to battalions at Belarus and Carpathian Military Districts, crewed by tank crews and artillery crews respectively. A variant of the IT-1 was made with a turbine engine, designated the IT-1T. In the time period it spent in active-duty, it proved an unpopular vehicle. The low missile count did not sit well with the tank crews and the missiles had a dead zone of around 300-500 meters before the missiles could be guided. The IT-1 was also complicated to use and maintain compared to existing artillery vehicles, a fact that did not sit well with the artillery crews. Though the missile launcher was praised for its long-range accuracy, the IT-1 did not sit well with the overall military situation and was discontinued sometime after its deployment in 1972. The remaining missile tanks in inventory were converted to recovery vehicles. Though the missile tanks concept failed, many more attempts were made to incorporate a missile system as a secondary armament onto Soviet tanks, succeeding with the usage of missiles in the 125 mm smoothbore guns on Soviet tanks past the T-64. 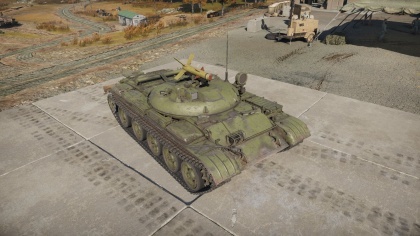 Skins and camouflages for the IT-1 from live.warthunder.com. Heavy SU-100Y · ISU-122 · ISU-122S · SU-152 · ISU-152 · Object 268 · Object 120 "Taran"
This page was last edited on 12 March 2019, at 22:20.